EAST RUTHERFORD, NJ — Manchester City and Liverpool will present an early English Premier League flavour to the 2018 fixtures when the pair square off in an International Champions Cup preseason game on Wednesday night. Game time for this one is scheduled for 7:00 pm ET with live streaming from MetLife Stadium in East Rutherford, New Jersey, available on WatchESPN and ESPN3. ESPN2 and ESPN Deportes are two of the networks providing live television coverage. Both English teams enter this battle on the back of respective defeats to German side Borussia Dortmund in the International Champions Cup. Manchester City fell 1-0 to the Bundesliga outfits at Soldier Field on Friday night, while Liverpool gave away a 1-0 lead in the 3-1 defeat to the same opponent at Bank of America Stadium on Sunday. Jurgen Klopp could field a very strong Reds side against his rivals, with World Cup stars Mohamed Salah, Marko Grujic and Sadio Mane in line to make their first appearances of the 2018 preseason. The trio returned to training with Liverpool only last Friday after representing their respective nations at the World Cup in Russia earlier this summer. Meanwhile, Manchester City will continue to be without several World Cup stars who remain on extended leave. Manager Pep Guardiola is again set to field a young starting XI with the likes of Riyad Mahrez, Claudio Bravo and Leroy Sane providing some experience in the squad. “It’s nice for the young players that we have,” Guardiola said at his press conference. 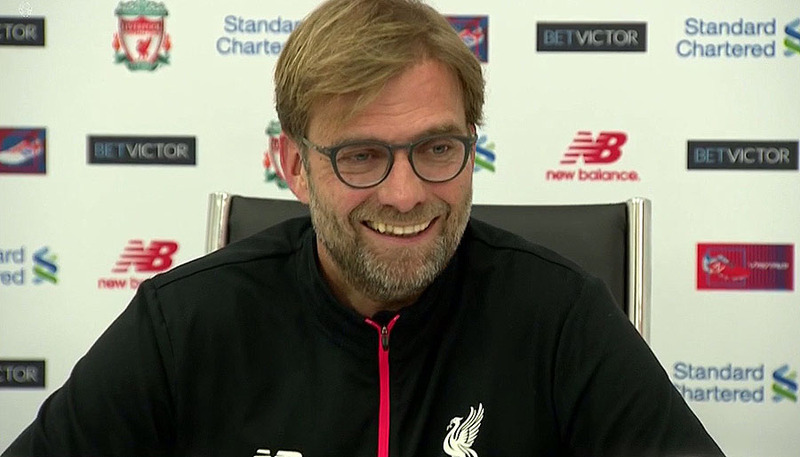 “We’re going to play against one of the best teams in Europe – Champions League finalists. He added: “It will be good practice to see how the players react in an important game.